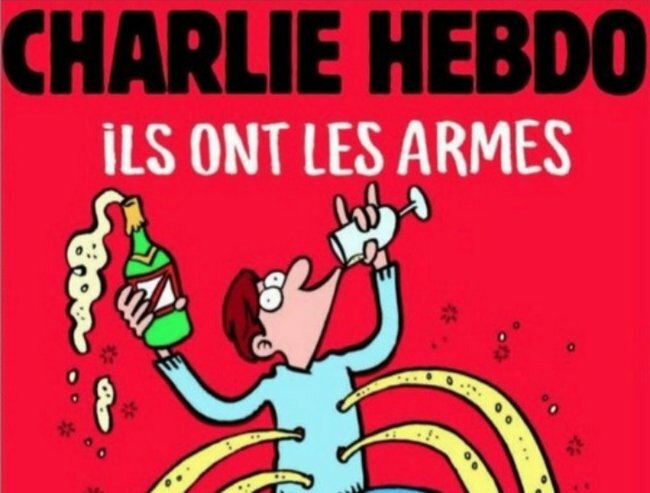 The first Charlie Hebdo cover since the Paris attacks is here. It’s here. And it’s powerful. That’s the message scrawled across the front cover of Charlie Hebdo‘s latest issue, which hits news stands Wednesday. Against a bright red background, the cover cartoon shows a man joyously sipping champagne as it pours out of bullet holes in his body. In the wake of Friday’s terrorist attacks in Paris, the powerful cover makes clear that the weekly magazine has no plans to back down from the satirical and sometimes controversial stance for which it has been known since its first edition in 1970, CNN reports. 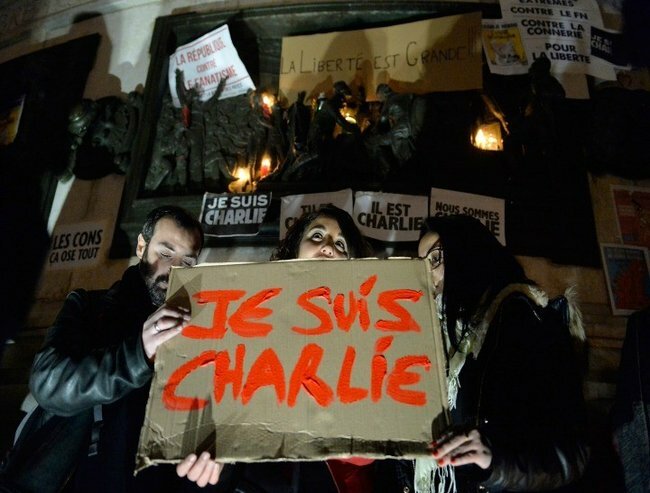 Staff at Charlie Hebdo were attacked in January this year by three gunmen, apparently in response to the magazine’s portrayal of the Muslim prophet Mohammed in cartoons. 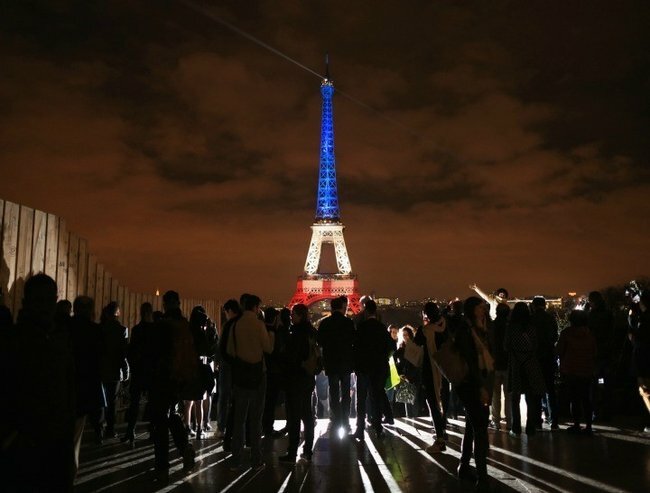 Twelve people were killed in that massacre, including several of the publication’s cartoonists and two policemen. 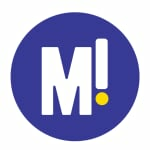 The publication’s first cover after that attack showed a similarly attitude. 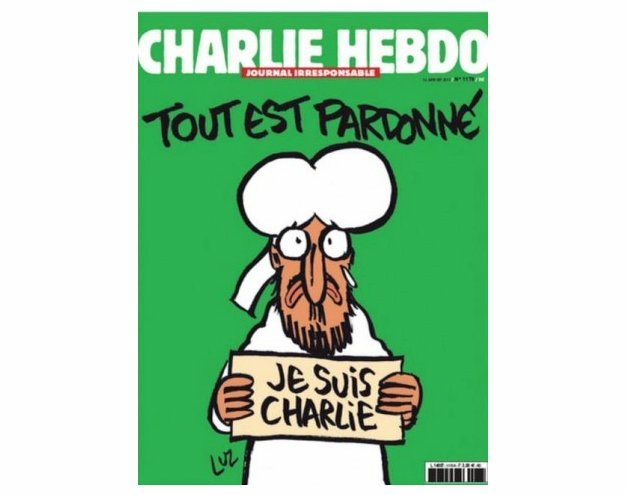 The headline splashed across the page of the bright green cover read “Toute est pardonne” (“All is forgiven”), alongside an image of Prophet Mohammed holding a sign reading: “Je Suis Charlie”. The cover of Charlie Hebdo following the attack on the magazine’s offices in January.